2013 is slowly reaching its end and it is time to be ready for the New Year. While we are planning for the coming year and thinking of the budgets etc. we have to think about the SEO strategies as well. 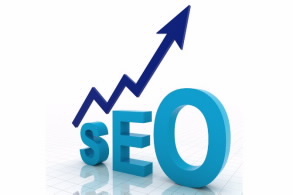 Here are few pointers that will help you to effectively plan your SEO strategies. The internet users predominantly use the internet to find information. So that is what exactly internet should provide. So SEO will continue to be the king. Of course content marketing has been abused and now it is an obsolete SEO tactic. But still quality content is very important for a website. When it comes to SEO, quality content always has a high importance. Create a calendar for the upcoming year. Then focus on the sales cycles, the high business periods and the important festivals and celebrations. This work as a guide to plan the marketing and the SEO projects accordingly. It will save you lots of time. At the same time you will have enough time to plan the marketing strategies for relevant occasions. When you plan ahead in the beginning of the year it will have enough created juices flowing and implement a very effective online marketing campaign. There is no doubt that text plays a key role on the internet. While the importance of the words is kept intact, do not forget the media such as images and videos. There could be instances where non-text media can be very effective in bringing your message to your audience. We tend to be easily attracted by sight and sound than the text. So you can use various platforms to bring your message to your potential customer base. Make sure to integrate all the media to promote your brand. Currently Google is scrutinizing your social media presence more than ever. So it plays a huge role in the future SEO. If you have a strong social media following it definitely will work out for your advantage. In addition to Facebook, Google+ will take a prominent role in 2014. So brace yourself to maintain 2 major types of social media networks. It might be a little bit more work and it is going to be involved with responding to high number of fans. But that interactive nature is going to reward you in the long run. The nature of your brand’s followers can tell so much about your brand. Are most of them spammers? Are they active followers? Have a closer look at your social media presence and streamline your social media presence. Having a high number of users following your brand has no importance. You have to have a following of users with reputable social media accounts. If you thought quality is more important than quality, you are wrong. It is time to go through all the social media accounts that follow your brand and do a thorough clean up. Also you have to make sure that your social media account has ample material that would instigate interaction of the followers. About Author: After writing so much articles and books Sophie Taylor hasn’t given up yet, she’s now focusing on everything new and innovating. Currently she’s writing articles about SEO. Best Speciality Mobile: The HTC One Max Or The Samsung Galaxy S4 Zoom?